Fixed star Alwaid, Beta Draconis, is a yellow binary star located in the head of the Dragon, Draco Constellation. 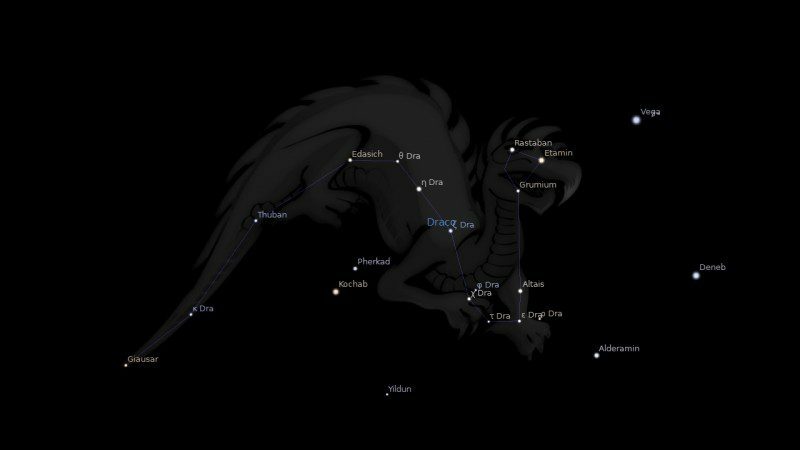 Ancient astrologers called it The Nebulous Star in the Dragon’s Eye. The traditional name Rastaban comes from the Arabic phrase ra’s ath-thu’ban, which means head of the serpent. Another name is Alwaid, which is also from Arabic meaning who is to be destroyed, but some trace it to Arabic al’awwad, which means the lute player. 2. The Living Stars, Dr. Eric Morse, 1988, p.158. 3. The Fixed Star Health and Behavior Imbalance, Ted George and Barbara Parker, 1985, p.107. 4. Fixed Stars and Judicial Astrology, George Noonan, 1990, p.10. Jamie, Ok, I have Mars at 10 degrees Sagittarius and I am NOT like any of the descriptions you mention here for Alwaid or Antares!!! This is a gruesome and horrific description of how I express my Mars. And I am an Aries! Please explain? I understand that you don’t relate to Alwaid because its orb is 1°40′ and the much stronger Antares overpowers it in your case. Antares with Mars is no where as gruesome as this one. Mars conjunct Antares is actually “favorable for gain.” Any negative impact would also be lessened by helpful aspects to your Mars from other planets. Your level of spiritual evolution also plays a big part in how these stars manifest. Things that make you go hmmmm…..Thank you! I actually have saturn conjunct alwaid, Jamie. 11 degrees Sagittarius. As well..Saturn just hit the natal degree recently. My first Saturn Return. That being said, I think that the language that was used in older times sounds more fatalistic in our minds. Honestly i do believe some planetary things were indeed more fataliatic back in those times. Energy must always express itself and it will always take the path of least resistance; as energy is always “wired ” to conserve itself. There honestly weren’t as many options as there are now. If someone had an affliction to the second house in the Middle Ages, they very well most likely would indeed be a beggar. Asking for bread and gruel from passersby. Nowadays…we have options. I also think these options also match our spiritual evolution. If we live and breathe in this day, we ha be qualified for it. And we have, at least, evolved enough to live in such an age. A mars transit in this age; it could mean an argument at work, that is forgotten the next week. It could mean a sexual encounter after a bar trip. It could mean repainting the house and renovating the kitchen. Many things. In the older times, a mars transit may actually indeed kill someone. We live longer than we did in the past. Every planet has orbited the same signs and done the same aspects for ages. The fixed stars have always been there as well. I believe that the evolution of the soul, defines the parameters of the expression of the energy that they are born into. It simply is not of any use any more, for wholly fatalistic expressions of energy. Theres not much that a soul living in 2016, can learn from some of the same potential realities that many people from the past experienced, with the same energy. I also believe that this language is partly symbolic as well. True psychological and abstract thought had not been developed yet. But people back then were also less literal. Just as they say of the lion, the bull, the ram…they mean Leo, Taurus, and Aries. I do indeed believe that who we have evolved to become firstly dictates how any energy we possess, manifests. A mars transit to the 6th house, of a 90 yr old woman very much indeed may cause her bodily harm and health issues. Because she has evolved to be an old woman. Beyond certain expressions of energy. If she was 25 and had that same transit…she would most likely just join a gym. Or have a larger work load for a month or two. If she had not evolved to handle direct work and energy…or was an inactive recluse, shed probably break her leg instead of joining a gym. Energy will take the easiest route to expression. 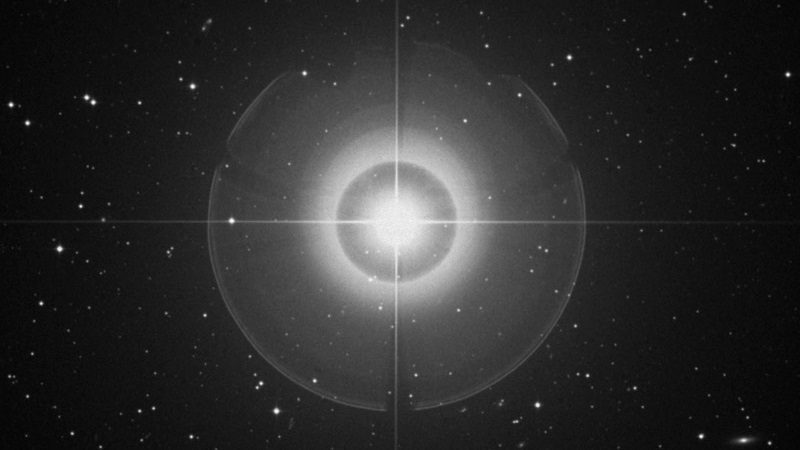 So all we have to do to potentially augment the expression of natal or transit energy, is to alter what the energy is working with in the first place. A highly balanced, responsible, and hard working human being may not even notice a saturn transit. As they have embraced the energy of saturn to the point that saturn is seen as familiar. So there is no resistance. Unbeknownst to them, they just act in line with what the energy is suggesting. I have not experienced much of what saturn conjunct alwaid suggests in its literal sense. Partially figuratively though. I do have back issues…and had to get a spinal tap at the age of 20 because they thought i had meningitis. I also have a back that can easily be made sore by position and posture. But as well, this has made me be more active to meet the needs of my back. And to care for it before i even have problems in the first place. I dance, i walk a lot, i like to run. I try to sit up straight. As well, i try my best to just live. As i absolutely love being alive and will put in work to keep myself alive. 🙂 saturn cannot help but respect one willing to work for a worthy cause. Fear not, everyone. Descriptions man has made up do not define you. It can indeed over insight though, at all potentials. Right on the money, wise words Michael. any comments on north node conjunct alwaid? I always go with the general description for the Nodes, or a combination of the Sun and Moon interpretations if there are any. Do you have thoughts on Alwaid conjunct Pluto?Big help . Probably something rather dark and sinister, crime or torture somewhere in you ancient past. I have pluto in the third house here ???? and indeed my mind can be somber sometimes!